A dental filling is exactly what it sounds like — a substance that “fills in” tooth material that has been removed because of decay. Tooth colored filling material is used in our office, so that you don’t have to worry about the old fashioned “silver” fillings visible in your mouth. Tooth filling treatments are pretty simple. First you’ll receive local anesthesia, then your dentist will remove the decayed tooth material. After that your filling will be placed and your newly restored tooth will be polished. Then you’re all done! If you are planned for a filling, you will want to act on it soon. 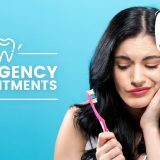 Untreated cavities can eventually lead to more complicated treatment, such as dental crowns, root canals, or extractions in the worst case scenario. If you are planned for a filling, you will want to act on it soon. 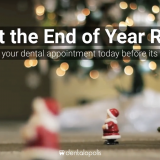 Untreated cavities can eventually lead to more complicated treatment, such as dental crowns, root canals, crown lengthening, or extractions in the worst case scenario. When a cavity is too large, a filling will not predictable solution. Corners of the teeth will be prone to fracture and subject to failure. In these situations, dental crowns are recommended, as it provides a full coverage restoration that strengthens the tooth. Teeth have pulp chambers that houses the blood vessels and nerves of the teeth. 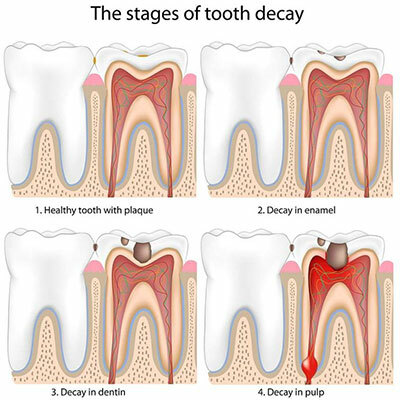 If the cavity extends too deep near or into the pulp, then a root canal treatment is indicated to disinfect the tooth. If the cavity has compromised the tooth due to its size or location, then an extraction will be indicated. Get the cavities treated early, when they are treated with fillings! It is the easiest experience and most economic dental solution!